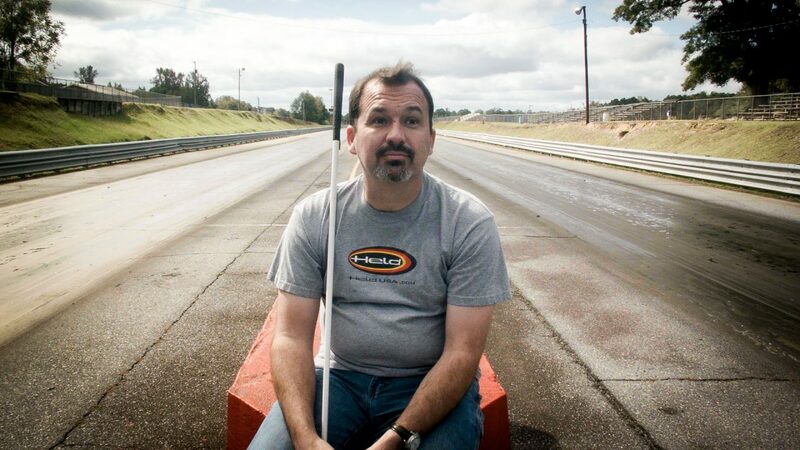 Driven Blind is a short documentary film that follows Dan Parker, a world champion drag racer, as he seeks to redefine his life in the wake of a tragedy that left him blind. The film is finally done. I wish I could share it with you here, but I have agreed to wait until we screen it at festivals before sharing it online. For now, here’s a link to the facebook page. 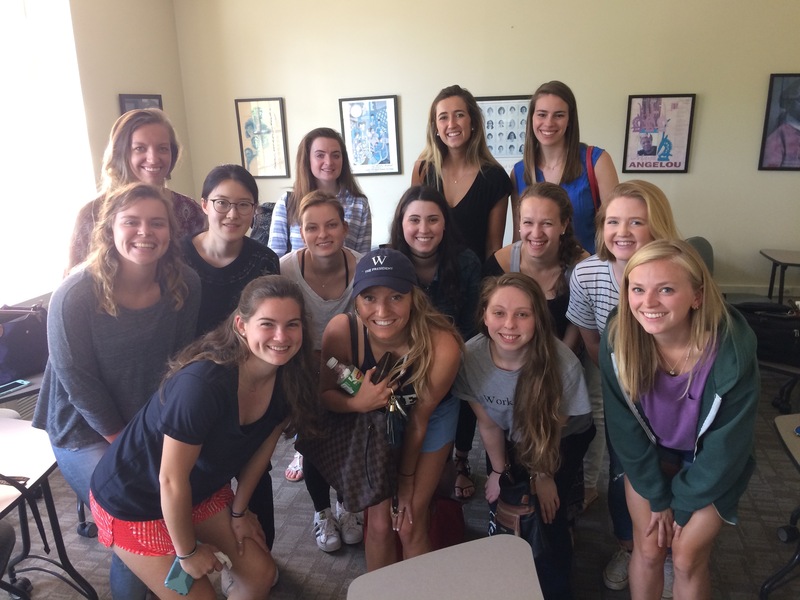 During Spring semester 2017, I taught a course in Interactive Digital Media at Wake Forest University. This was my class. 15 journalism minors, all of them girls. Not sure how that happened, but yes, it was fun. 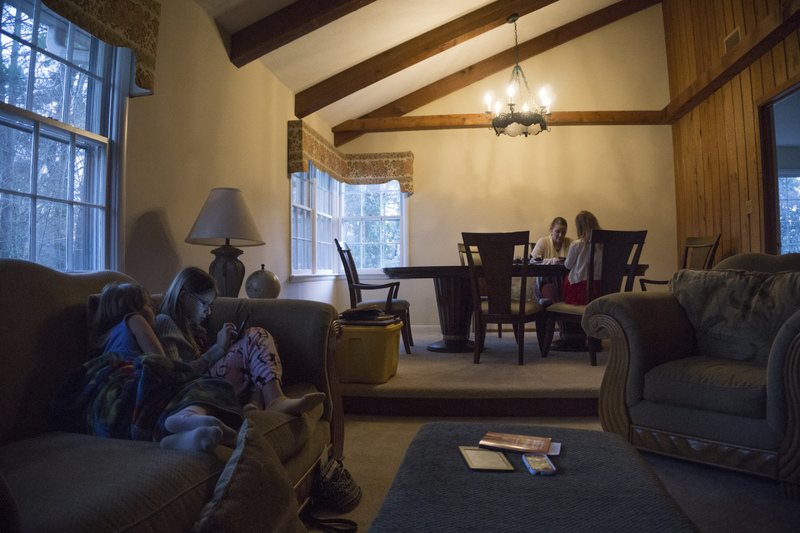 At Wake Forest University, Latin Isn’t Dead. It’s Immortal. Directed by Geoff Groberg and Wei Ying. Atomic Retro Customs is a short documentary about Matt Nowicki, a luthier in North Carolina building electric guitars that have become famous for their retro designs and custom details. This film explores his process for constructing electric guitars and the inspiration behind his designs: classic science fiction and old-world craftsmanship. 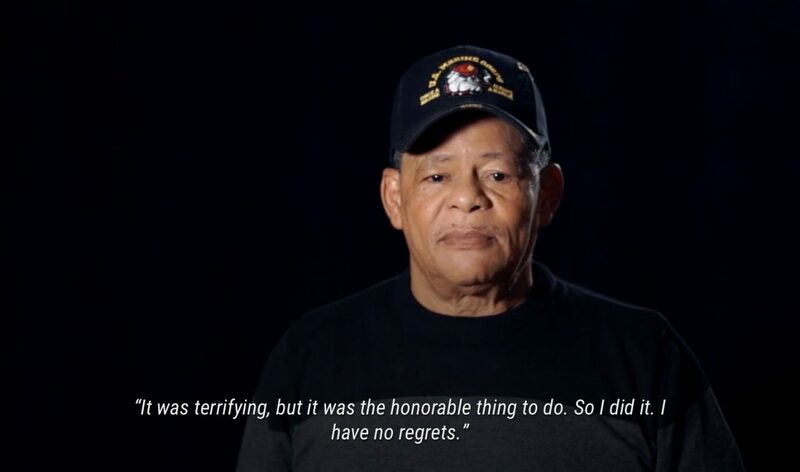 The film screened at regional festivals in the South in 2015 and 2016. As a grad student, I discovered that the systems designed for student equipment reservations were not very good, and way too expensive. So I built EQ Checkout. I debated whether to use an off-the-shelf framework, like Laravel, Django, or Rails. But in the end, nerd that I am, I built my own framework. It’s based in PHP and inspired by various things I’ve seen in other frameworks. It’s simple, easy to deploy to an inexpensive LAMP stack, and cleanly separates MVC code. The framework has a database abstraction layer, so it can use MySQL, PostgreSQL, and other DBs. But I chose to use SQLite for this app. WHY?! Why would an experienced web developer use SQLite for an application that’s designed to scale? It’s super fast. It’s easy to deploy. It’s stable. And for other reasons. EQ Checkout is a multi-tenant application. Using SQLite made it trivial to silo off data for each tenant. They each get their own, completely separate database. Easy to do, easy to maintain and make backups. You might be concerned about high traffic and concurrency, but it’s not an issue with an app like this. Since each tenant has their own, separate database, each database has a relatively small number of users. Even if a tenant had 1000 times the number of users this app was designed for, concurrency still probably wouldn’t be an issue. And there would be other issues that came into play long before SQLite became the bottleneck. Of course there’s a lot more to the framework: a router with some sensible defaults, lots of convention of configuration, basically a lot of ideas I stole from Rails. I have mixed feelings about the wisdom of creating your own framework, vs using an existing one. In this case, it worked pretty well. But moving forward, I’m interested in getting better with Rails. There are pros and cons of course. One good thing about using Rails, Django, or Laravel is that they come with so many features. And one bad thing is that they come with so many features. EQ Checkout is a web application for inventory management. I designed it with Universities in mind, but it can work for any organization. There are a lot of university departments (and other organizations) that have equipment that they checkout to their users. 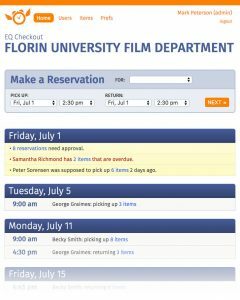 EQ Checkout allows their users to make reservations online and helps administrators manage the equipment. The application is a multi-tenant application. When a new organization signs up they create a subdomain (something.eqcheckout.com) and that becomes the URL that is used to make reservations, checkout equipment, and manage inventory and users. Each organization gets their own database and preferences. I actually built a custom MVC framework for this application. You can learn more about EQ Checkout here. Eira is going to start violin lessons so we bought her a violin. She’s delighted. And as you can see in the photo, Lucy and Amanda have already started teaching her how to play. 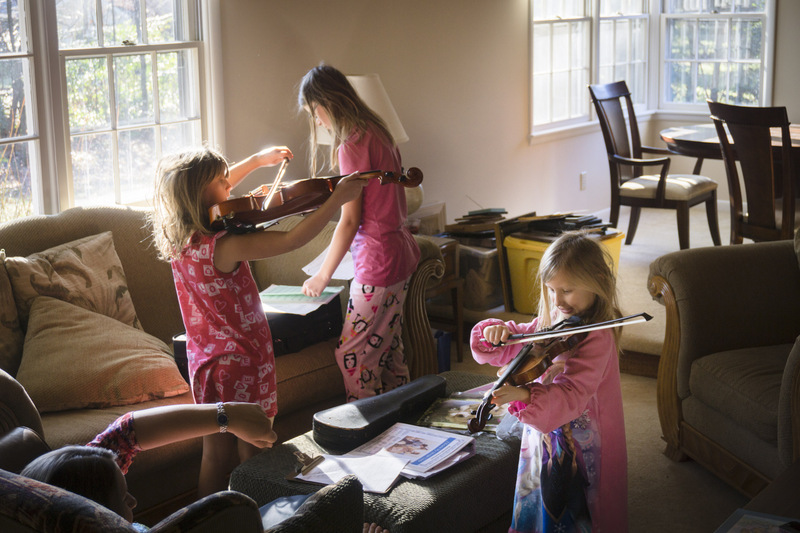 Important note: Lucy and Amanda don’t know how to play the violin. 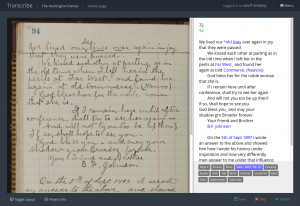 Transcribe is a web app I built while working for the Lee Library. It’s been one of the more rewarding apps I’ve built because it’s a crowd-sourcing application that continues to be used. 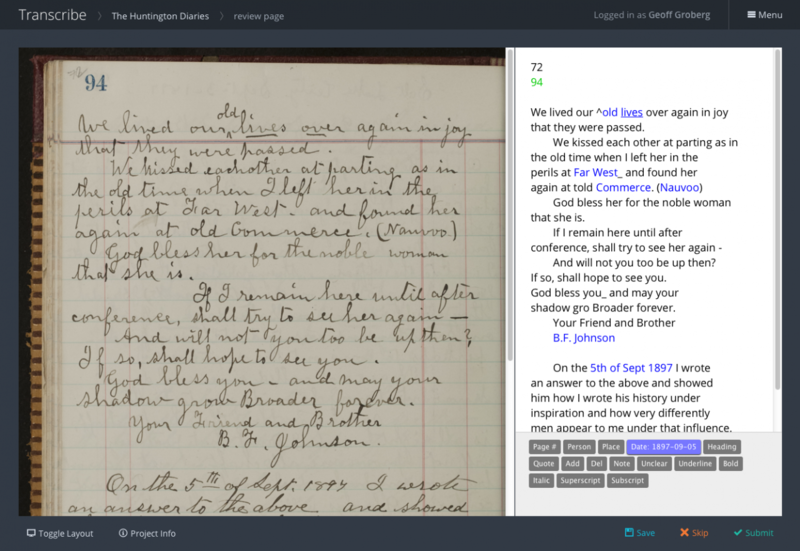 Transcribe was built for Special Collections. They have a lot of old books and manuscripts that are not available electronically. 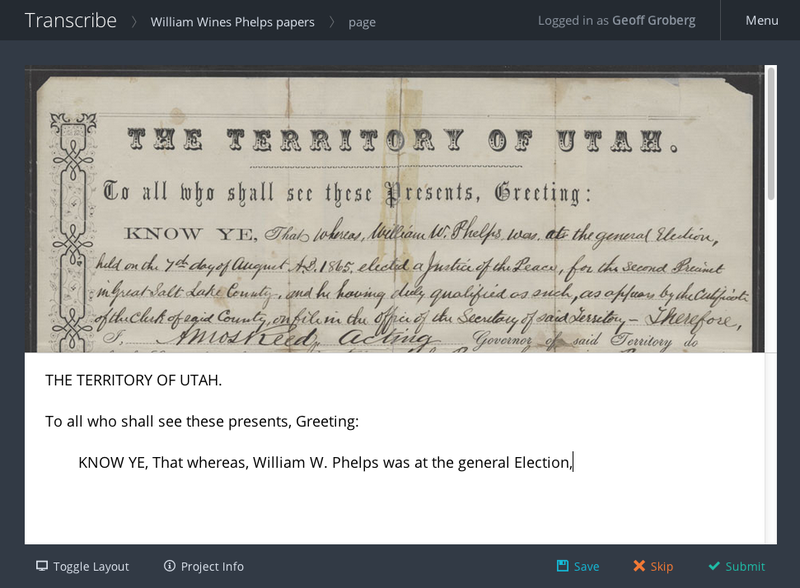 Transcribe allows students to help get these documents transcribed, making them searchable and much more available for research and scholarship. It’s an application that employs crowd-sourcing. 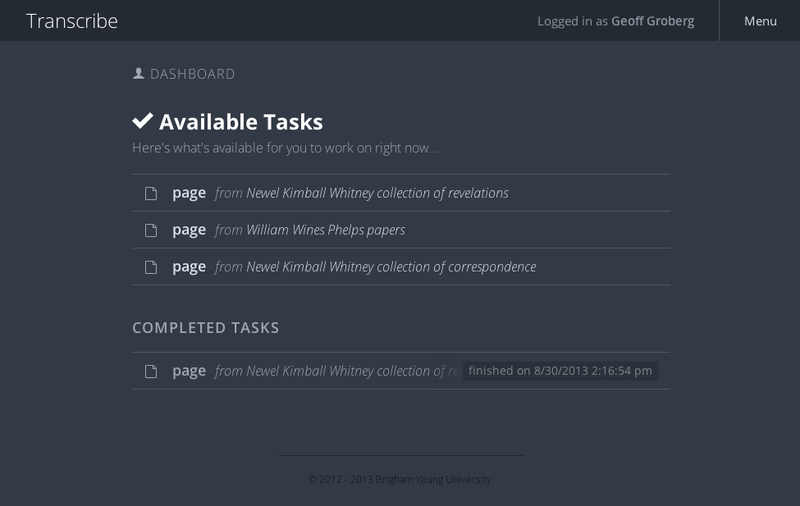 A student logs in and grabs a “task,” in this case usually a single page to be transcribed. 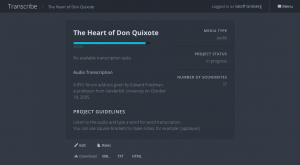 The application also allows for transcribing time-based media (video and audio). Each task gets completed twice, by different people. So for every page, there will be two transcriptions. The two transcriptions are then “diffed,” highlighting any discrepancies between the two. At this point, a new task is made available to a reviewer. The reviewer can quickly see highlighted discrepancies and choose between them, along with making any other changes. The reviewer can also easily point and click to add XML tags, identifying people, places, and dates, for example, to make the document more searchable. Rather than using a textarea tag, we used HTML5’s contenteditable attribute. This allowed us to style transcribed text in ways that wouldn’t have been possible using a textarea. Another interesting UI/UX feature is that the transcription interface can be toggled by the user to be side-by-side or up-down. After all pages in a project have been transcribed, reviewed, and tagged, the application compiles them into an XML file (adhering to the TEI Lite standard) that the library can use to make the document electronically available and searchable. 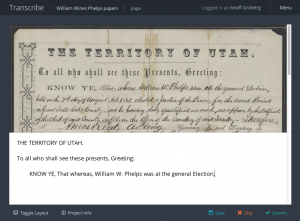 I built the application in 2014 and I’m happy to see that as of 2017 it is very much alive and being used to make rare documents more available. 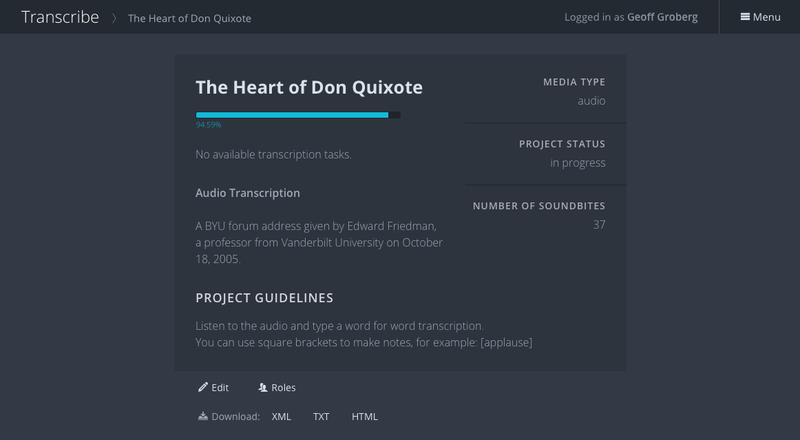 I was the lead developer on Transcribe and I worked closely with the fantastic Grant Zabriskie for front-end design. 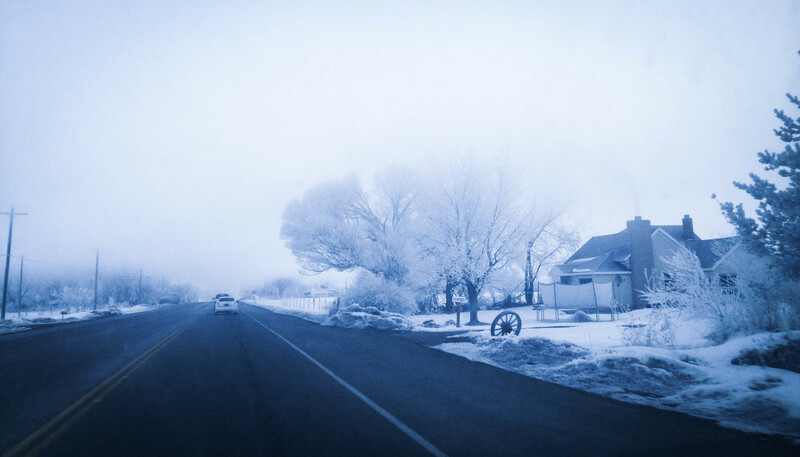 I was listening to Christmas music on the radio the other morning on my way to work when one of my own recordings came on.